Professionally printed image made using digital copies of the original files. Giclee Print on Fine Art canvas Gallery Wrapped on a wooden frame. Printed on demand using commercial printing equipment. Ready to hang Vintage art Reprint - Shipped in a rigid box to prevent Damage in shipping. John Margolies was an architectural critic, photographer, and author who was noted for celebrating vernacular and novelty architecture in the United States, particularly those designed as roadside attractions. 1940-2016. Professionally Printed Giclee Quality Meaning 300 DPI or greater and lifetime ink produced on Commercial Equipment. Printed from files obtained from the NOAA or the Library of Congress. 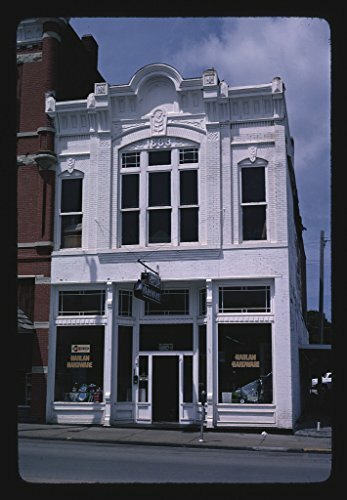 24 x 36 Giclee Print ofÊHarrison Bros. Hardware Huntsville Alabama r18 [Between 1980 and 2006] by Highsmith, Carol M.